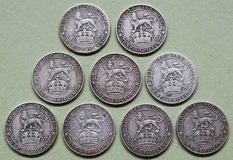 Great Britain, George VI. 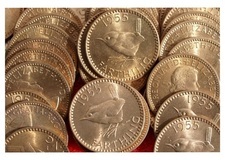 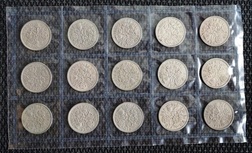 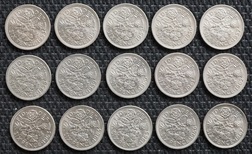 England One Shilling, 0.500 Silver set. 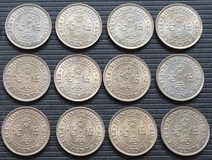 1937-1946 (10) Coin, F to GF. 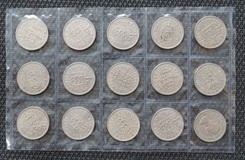 Germany, 5 Pfennig 1980 Mint Roll x 50 coins UNC. 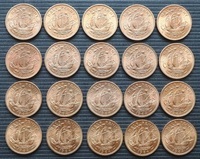 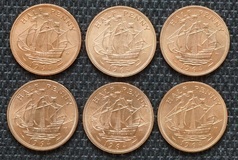 Hong Kong, 50 Cents 1967 UNC (x 12 coins) Copper-Nickel, Obverse: Queen Elizabeth II. 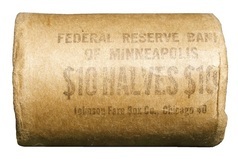 United States, Uncirculated Mint Roll of 1964d Kennedy Half Dollars.